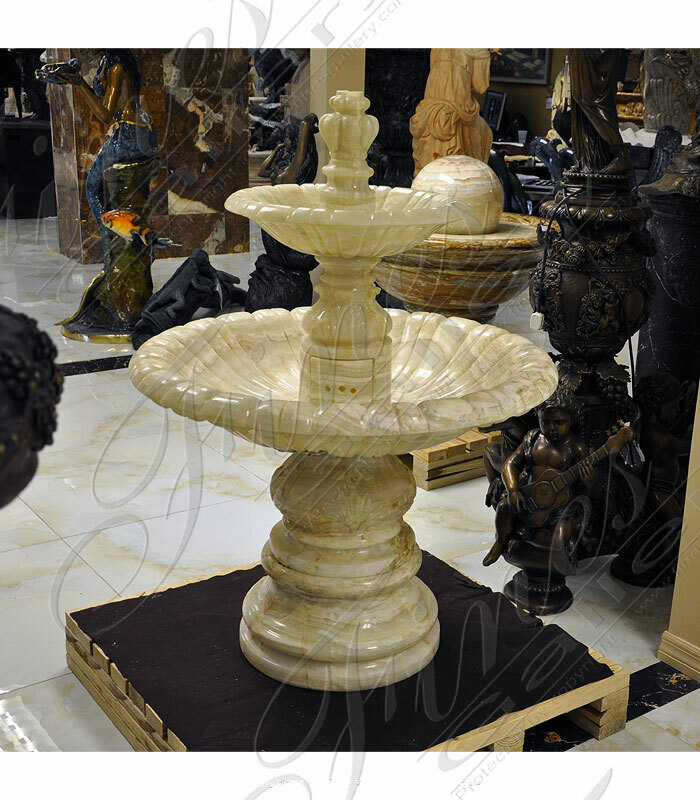 This pure onyx fountain is a rare find. 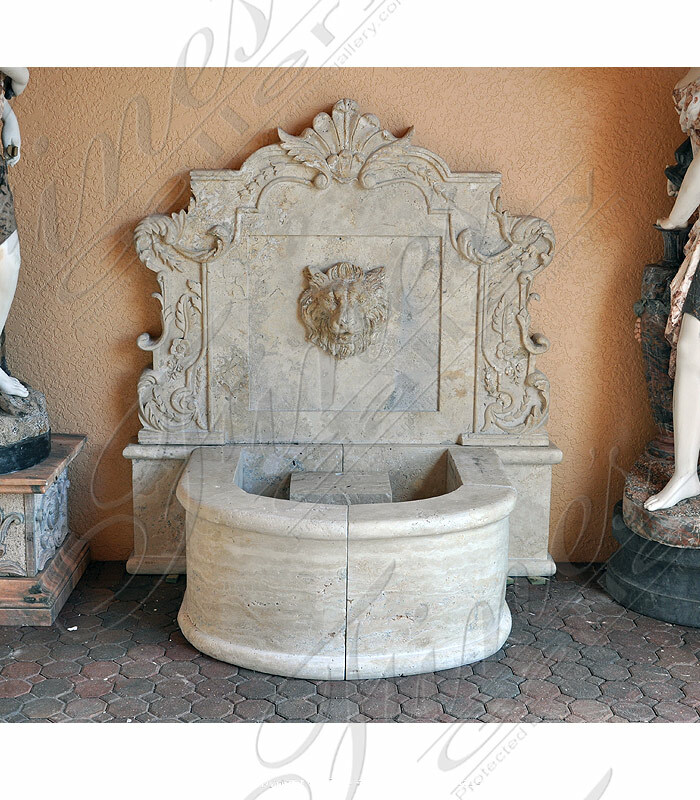 Available exclusively through Fines Gallery of Bonita Springs, FL! 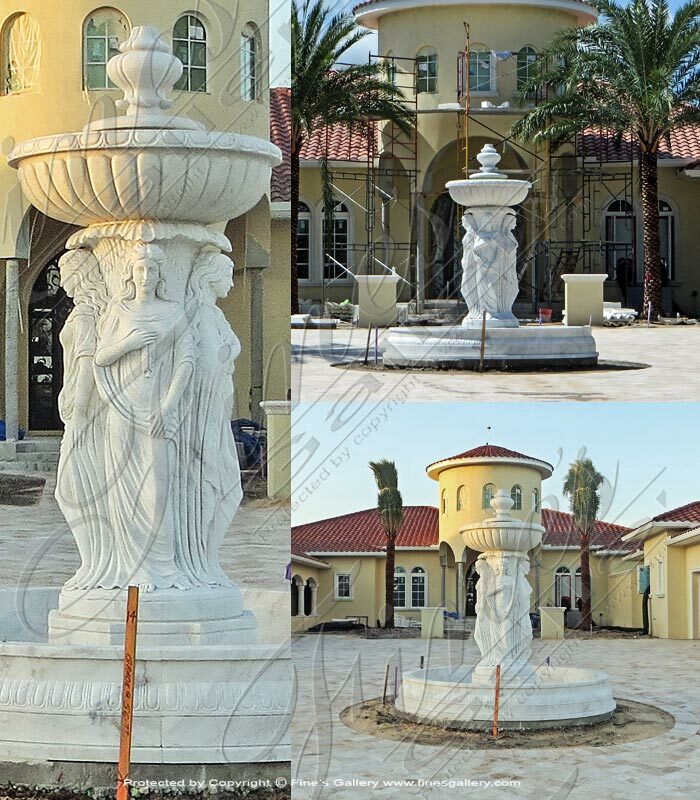 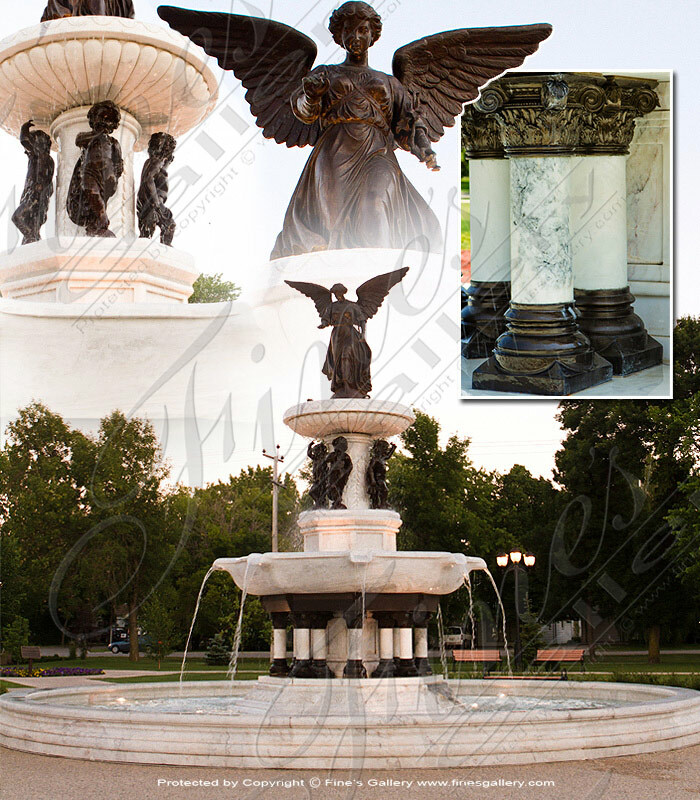 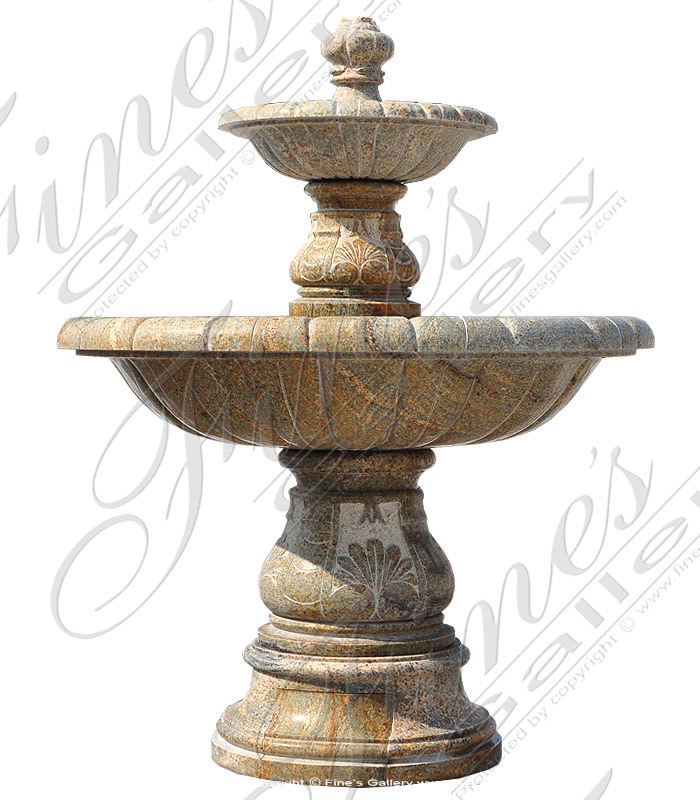 Granite Garden Fountain features earth toned shades of a luxurious quarried granite. 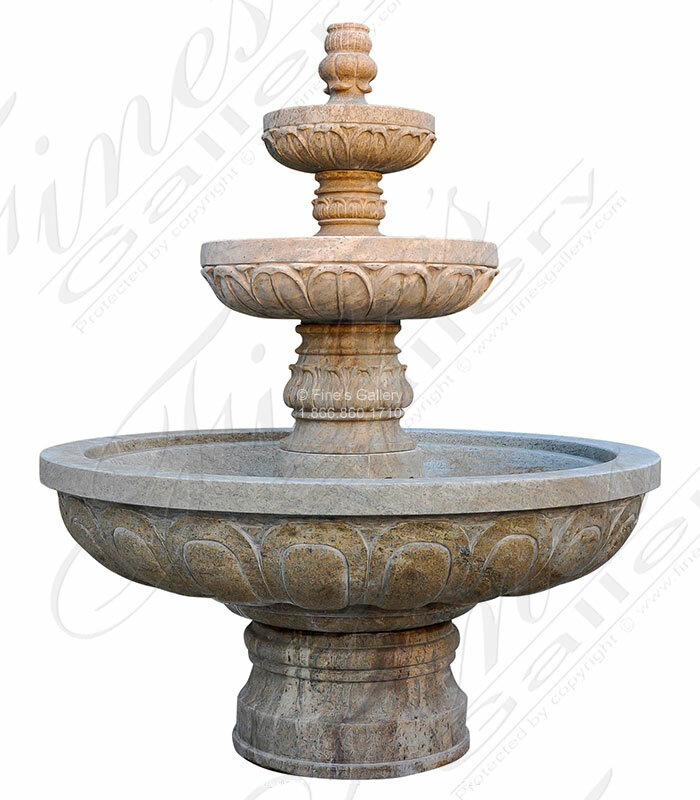 Pairing perfectly with any garden setting or circle drive application. 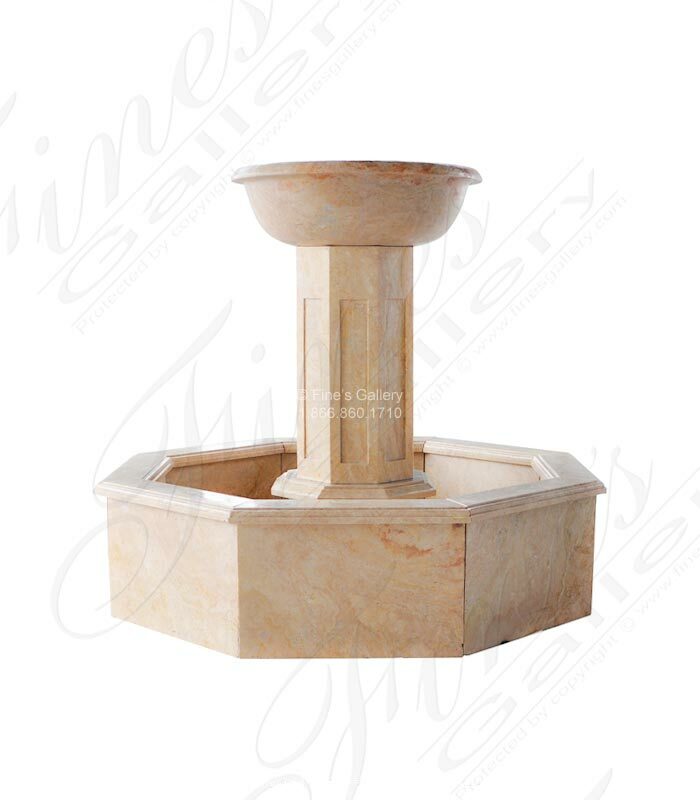 Available in white marble, cream marble and light beige travertine. 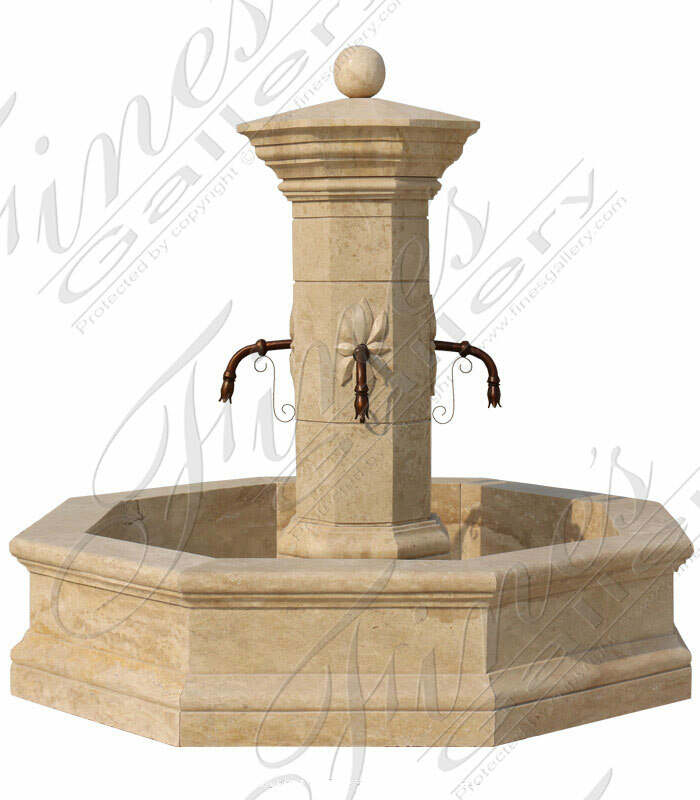 French country inspired. 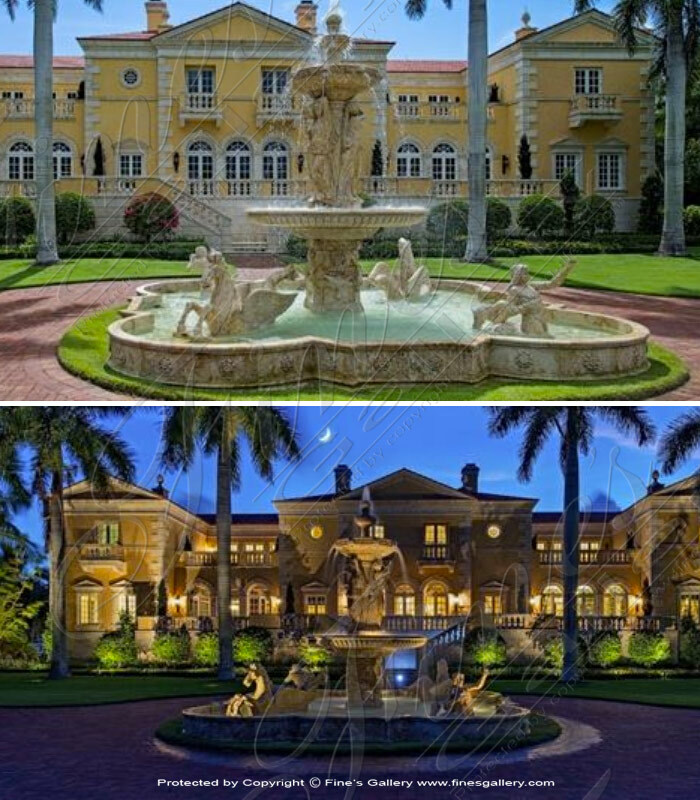 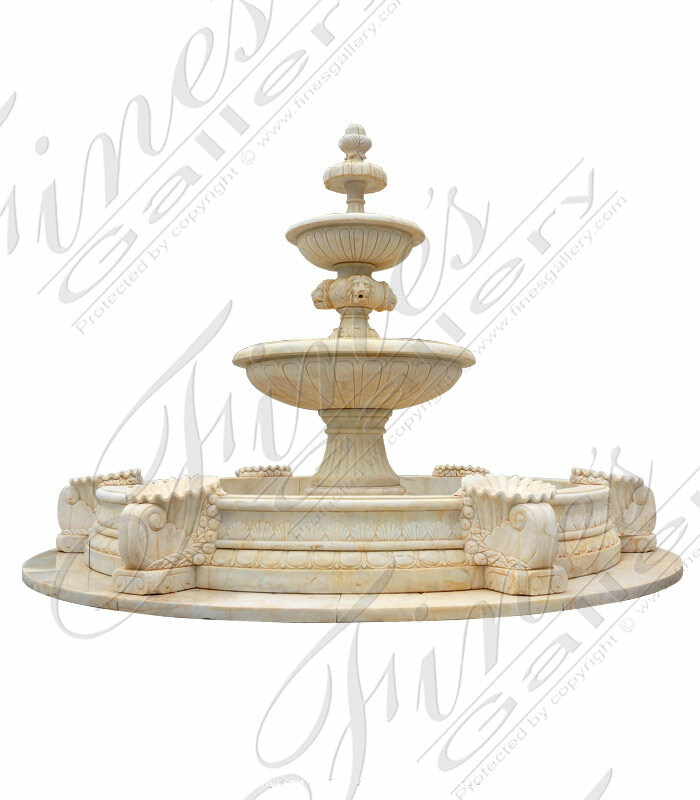 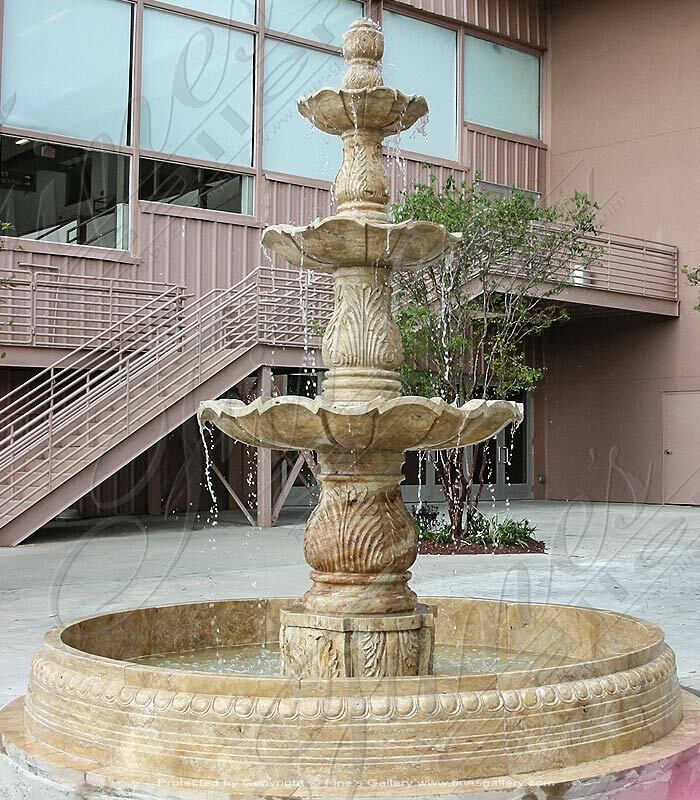 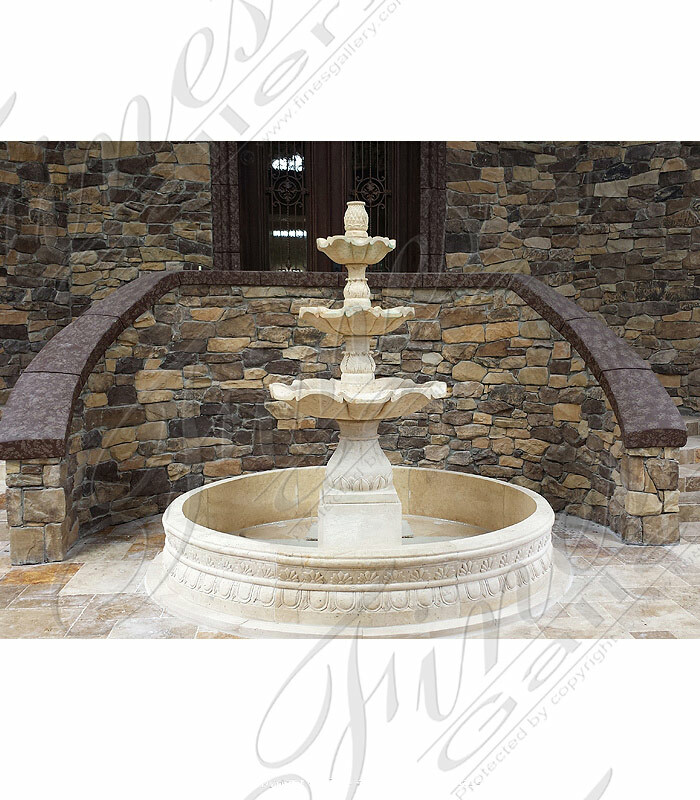 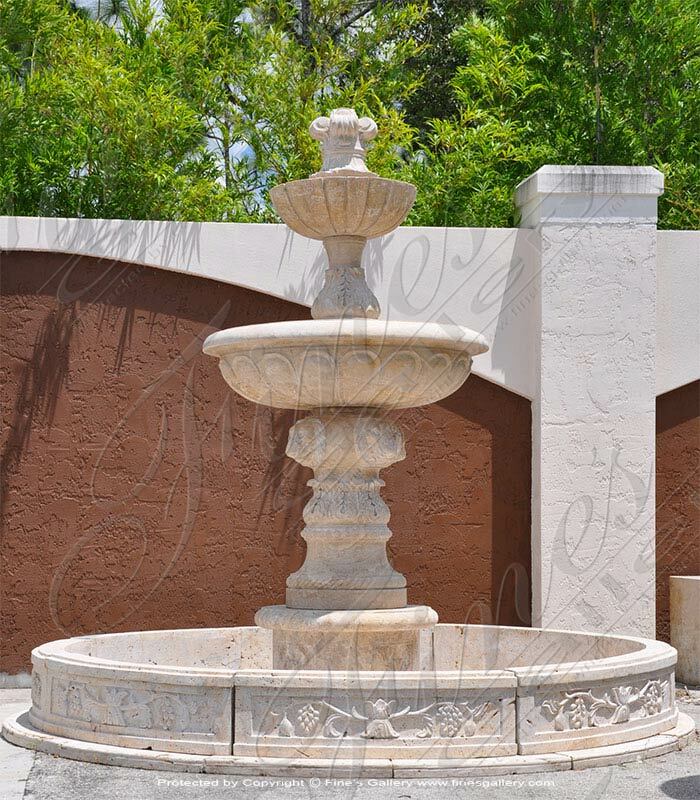 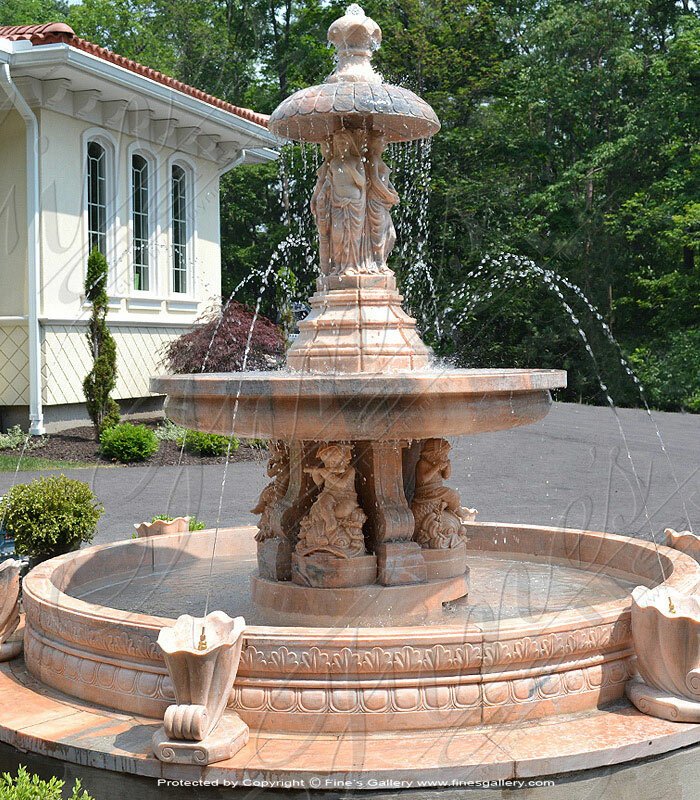 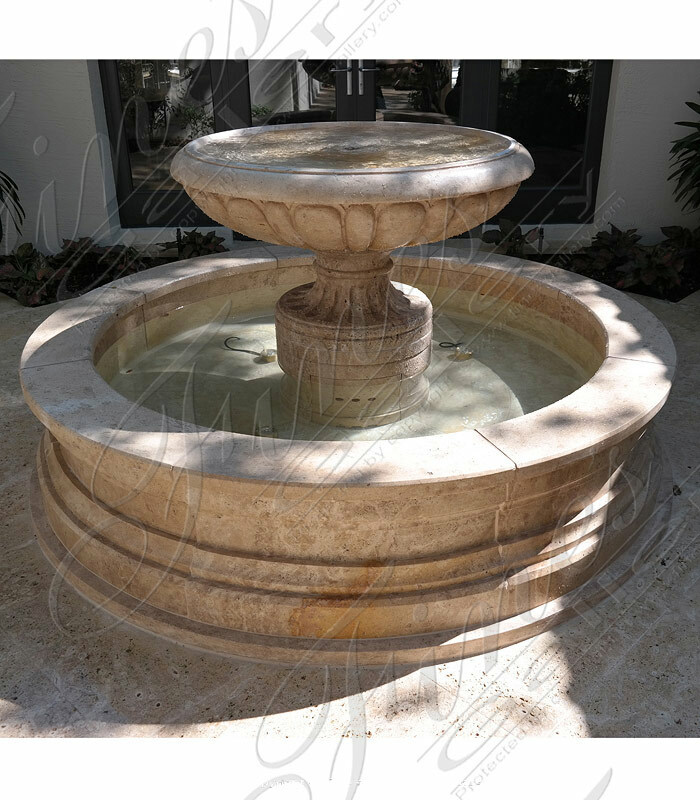 Enjoy the rustic beauty of antique style marble and soothing waterfall melodies with this elegant wall fountain. 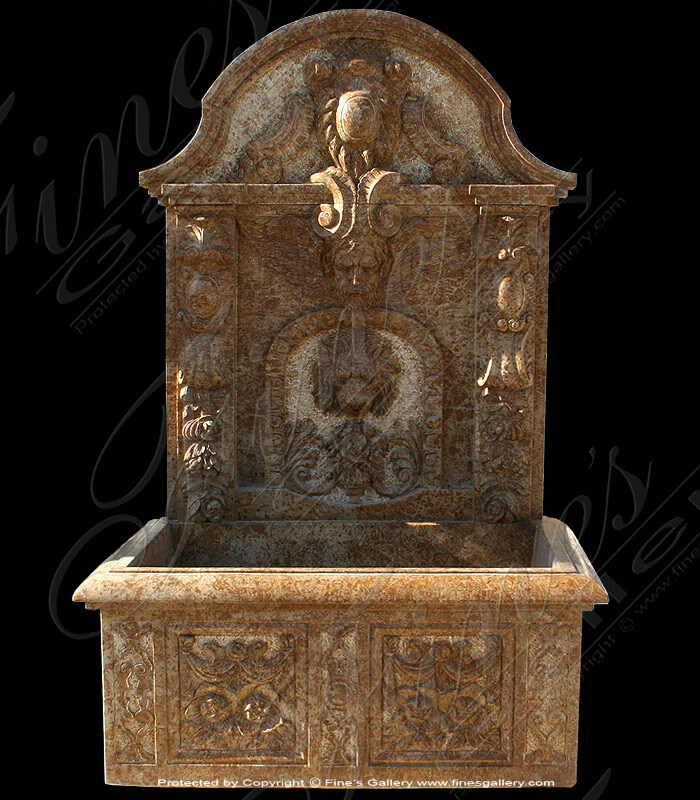 The entire surface of this piece is covered with finely hand carved classical artwork that leaves an impression of enchanting bygone eras.